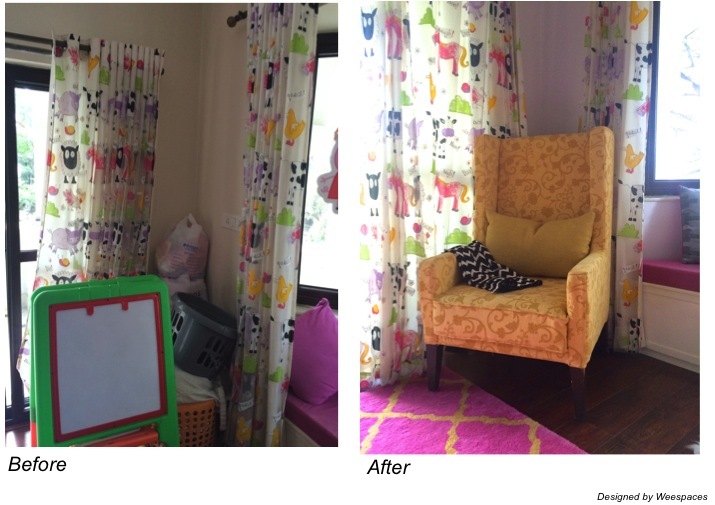 A fun modern little girl’s room! 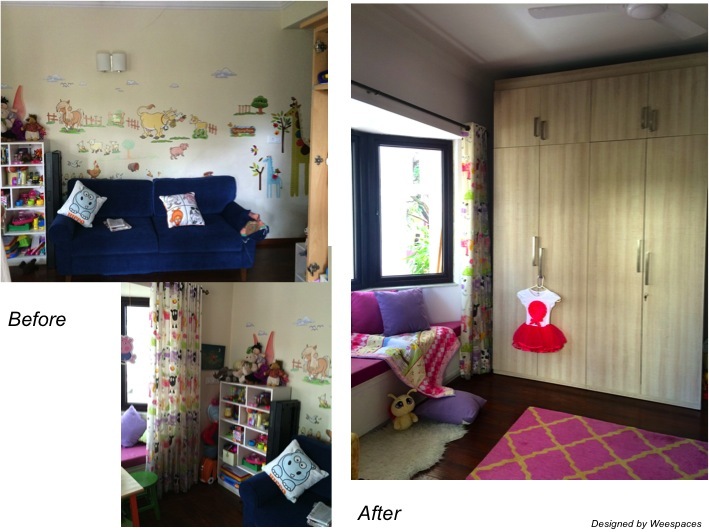 One of my very first projects in Bangalore – a fun, modern and happy room for a little girl! 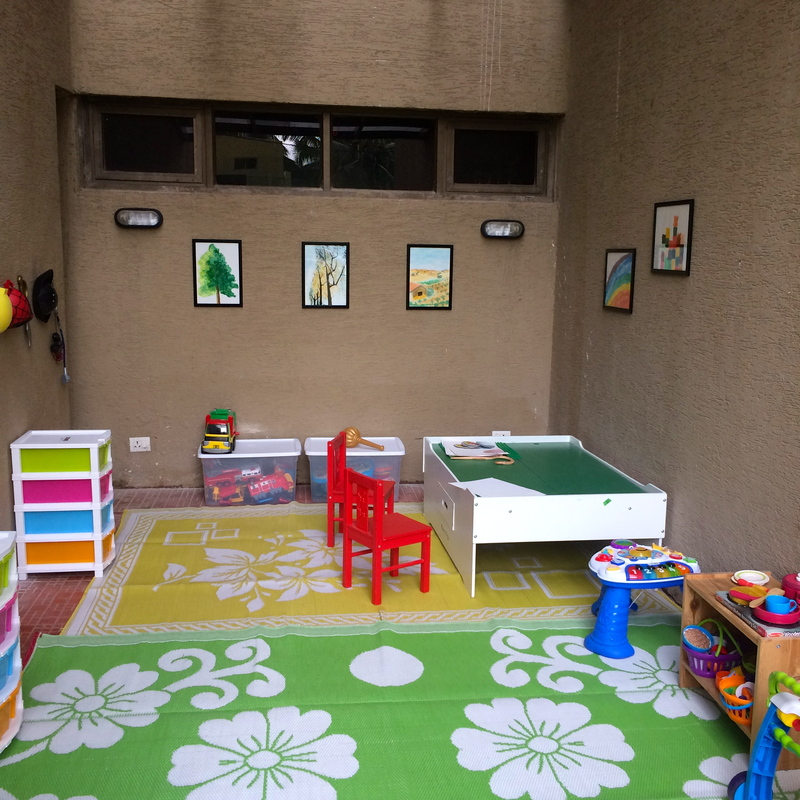 When we started it was a cluttered and tight space with a lot of stuff and very little open space for play. 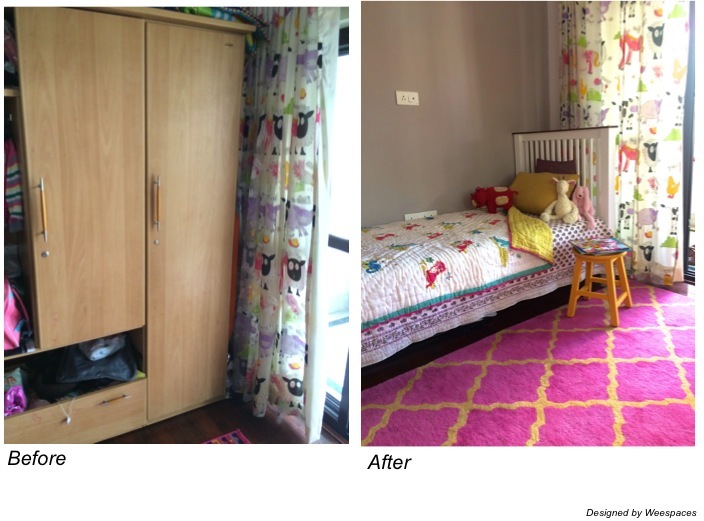 There was a clear need for storage and a change in the room’s layout to better optimize the use of space! 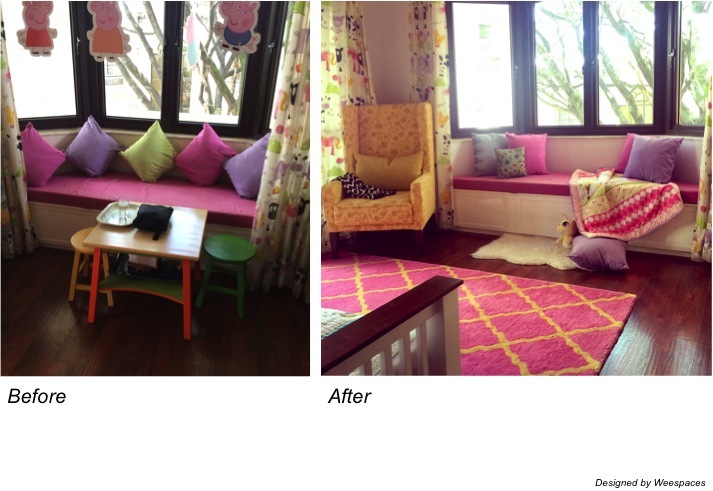 But what the space also had was beautiful natural light, a large balcony and a lovely window seat! Brand new wardrobes to add much needed storage space, a clean modern twin size bed that can last the growing years, a fresh coat of neutral gray paint that acts as the perfect canvas for all the colorful accessories and a gorgeous bright pink rug bring this room together so beautifully! 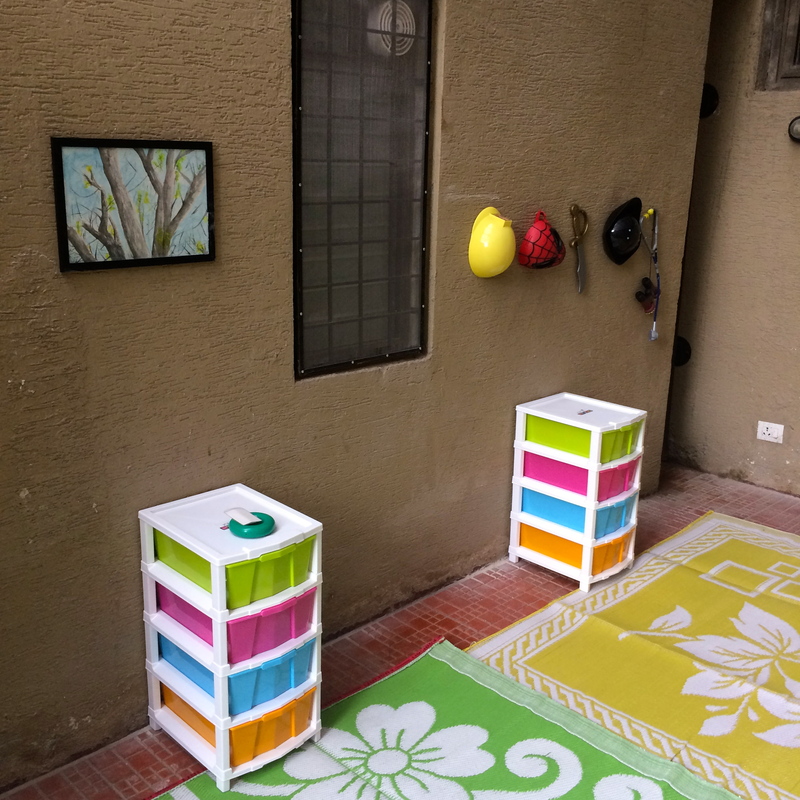 A playspace makeover in under Rs.6000! 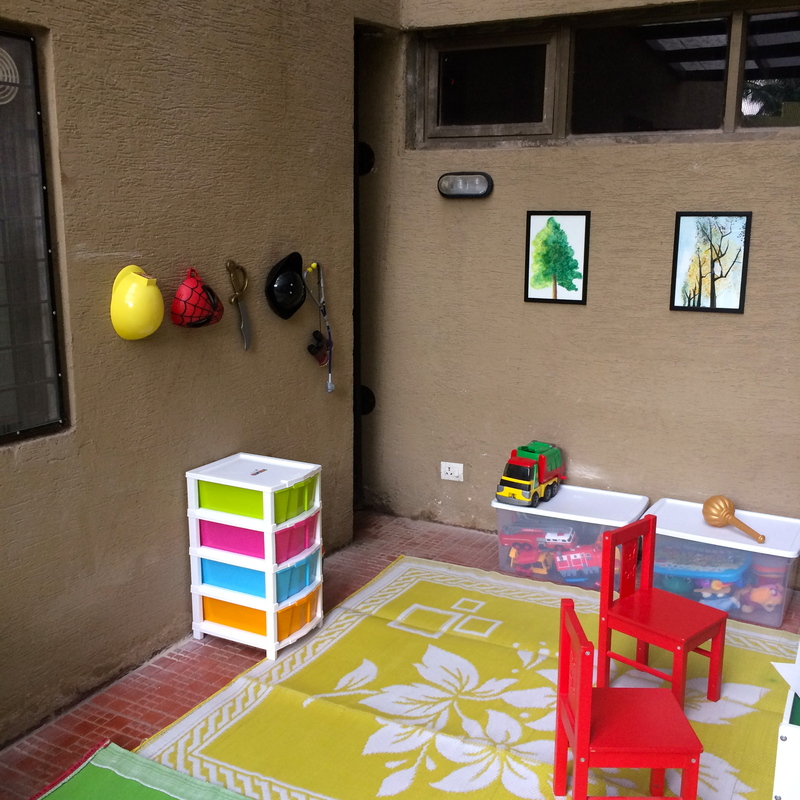 An open space and 2 kids screams playspace! So I set off on the mission armed with a measly budget of Rs. 5000 and here’s what we came up with! A pretend play nook with just a few nails on the wall! 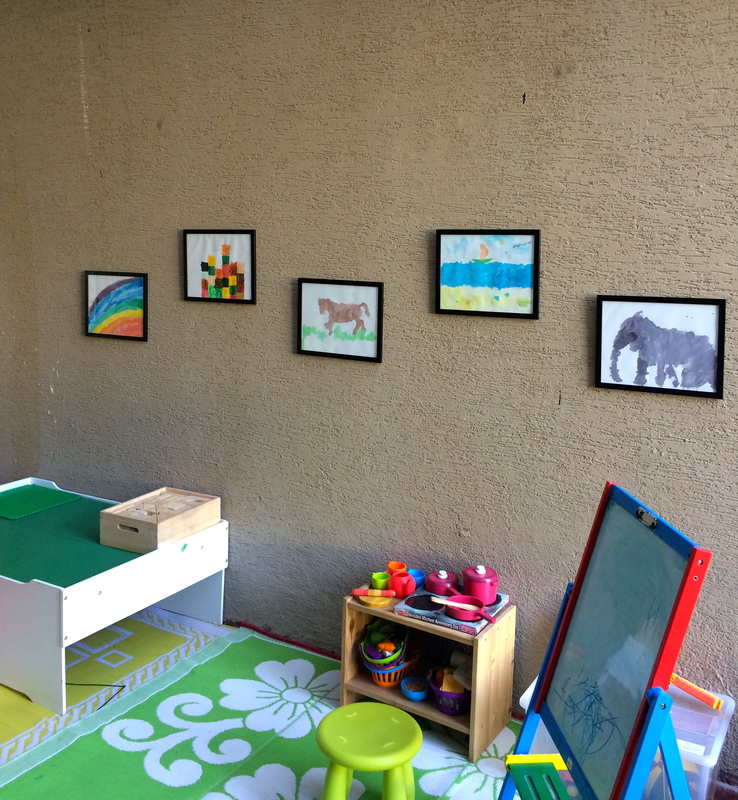 A great way to display your kids artwork!